If you do not see the content please click on approval to see items. As 2019 starts, plans are already in the work for future recordings, follow-up visits and future distributions. Pray that God will enable the ministry to meet the goals set before us. Pray for Winston Omenya, he will be making a follow-up visit to 9 language groups. Pray for Marian Elliott, as she contacts ladies in GRN in order to encourage them and to pray for their personal needs. Pray for Marian as she develops her relationships with GRN wives and female missionaries in GRN. Plans are underway for the mission wide Council meeting for November this year. Pray for those responsible for making arrangements for the travel, accommodation and local transportation. Some key International positions will need to be filled by the time International Council meeting comes around. Pray for an International Prayer coordinator and Language Mapping coordinator. Pray for Instructional Design Coordinator, Elise Cooper from GRN Australia. She is developing the recordists training curriculum. Pray for Elizabeth Chan, GRN’s new Global Script Ministries Coordinator, as she develops ideas for scripts and scriptwriting. Pray also for Jon Rulison, the Recordists Training Coordinator. Pray for future recordists training programs that will take place in 2019. Pray for Colin Stott, the GRN Prayer Coordinator. Colin and his wife Patty have health issues, pray for continued strength and encouragement in this vital ministry. Pray for Graydon Colville, the International Director. Each Coordinator works under Graydon’s leadership. Pray for good communication with each department. Pray for the International Leadership Team as they are in regular contact regarding the needs of the network. Kevin and Ruth Horan have been visiting family in Ontario. Pray for their family as they return to their home in California on the 15th. Pray for Ruth, as the U.S. Studio Manager. She is working on a project where she needs patience and attention to detail. Pray for Kevin, as he communicates with technicians in the Australia office on the many technical issues facing the ministry. David and Marian Elliott will be representing GRN at Vancouver Mission Fest from the 18th to 20th. Pray for opportunities to meet and talk to people about the ministry. Pray for David Elliott as he takes part in a seminar on Missions and Technology session at mission fest this Friday. Pray that David and Marian will be able to visit with GRN supporters at Mission Fest. Pray for the church in Canada. Pray that they would see a harvest of new immigrants into the kingdom. Pray for Diane Roberts, financial assistant, as she comes into the office each month to do payroll and update our financial program. Pray for the early preparations for the GRN banquet in April. Godsave from Tanzania will be our speaker. He will need to apply for a visa to come to Canada. Pray for David Elliott, as he serves as a Board member for Link Charity. 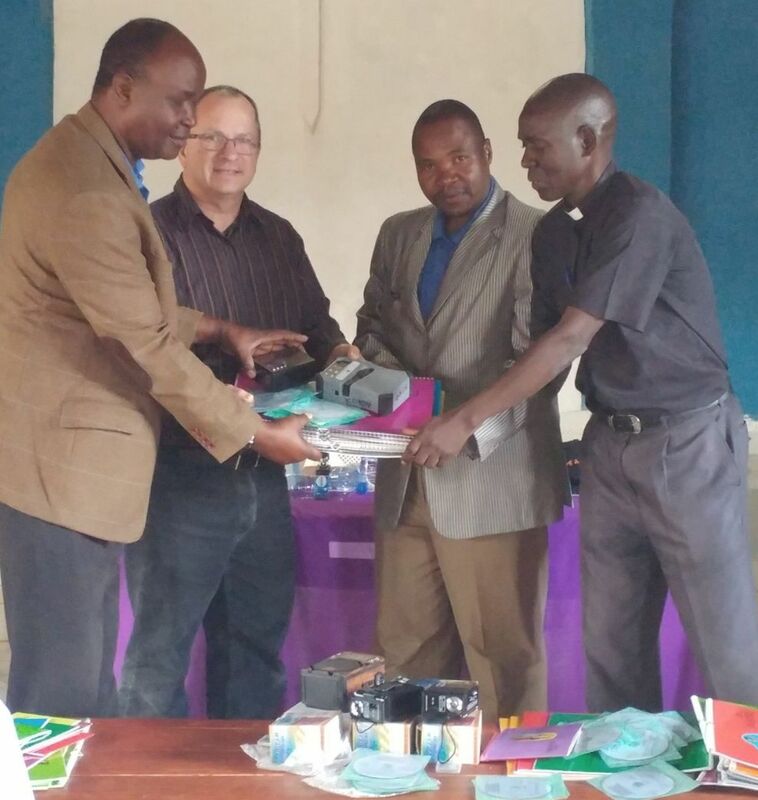 Pray for opportunities for David to share with churches about the ministry of GRN. Pray that God will provide funding in 2019 to meet the budget. One of the goals this year is to provide funding for five recording projects in Kenya and Tanzania. The annual Culiacan outreach to migrant farmers is currently taking place. Please ask God to daily protect the workers as they visit the migrant camps to share the gospel. Pray that the vehicles will not have any problems. Pray for open doors to share the good news of Jesus. Each year, thousands of recordings are given out in 100’s of languages. Pray for Chucho and Diana as they provide leadership for the Culiacan outreach. Pray for recordist, José de Jesús Tejeda. A year ago their son passed away while they were involved with the Culiacan outreach. Copyright © 2018 Global Recordings Network, All rights reserved.